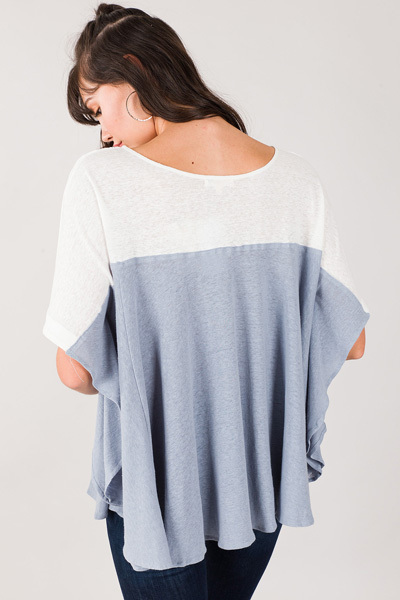 This tunic gets a fashionable upgrade with chic color-blocking! 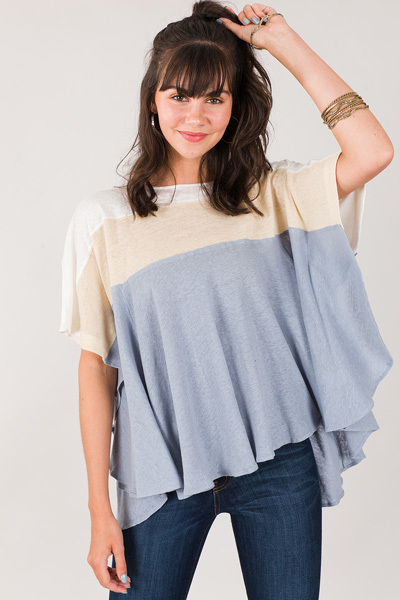 The swing fit is figure-forgiving and the neutral colors work during any season! Fabric is a stretchy cotton-blend. Fit is oversized. 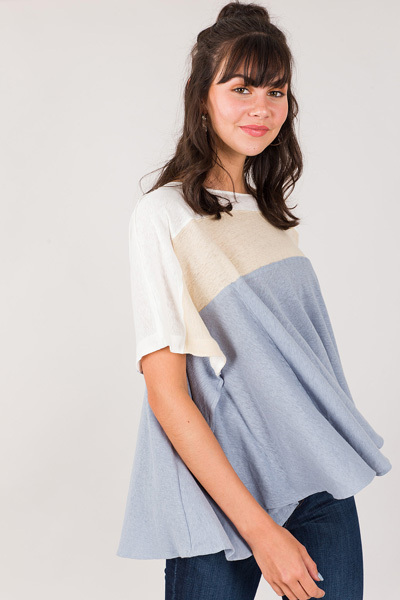 Model wearing size small.